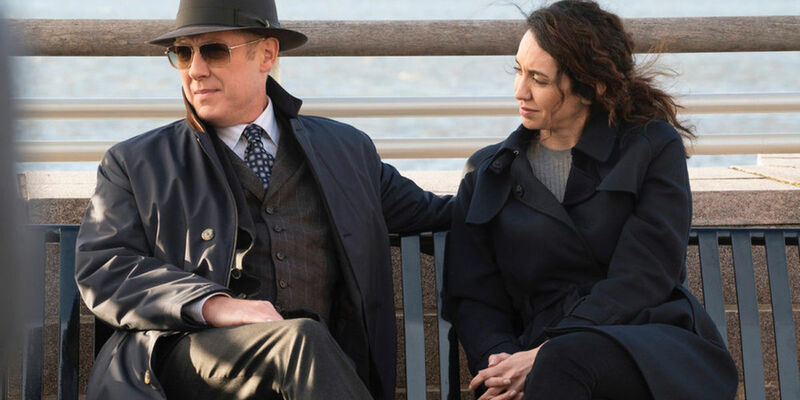 As has been demonstrated numerous times, The Blacklist is always better when it has had some time off to think about what it's done and to refresh itself. Season or midseason premieres are typically the series' most engaging offerings and 'The Director' is no different. Maybe The Blacklist just had a really great holiday break, you know, saw some family, ate some really good food, and just generally enjoyed the festivities of the season. Then again, maybe the reason the midseason premiere feels like a better, livelier show than when it left is because no one is locked in a witless battle with a group of backwoods highwaymen. So, either the series really did re-energize over the holiday break, or it has simply managed to rise above the nadir that was the midseason finale. Sure, maybe the bar isn't exactly set at its highest point, but nevertheless, the series manages to at least make things interesting. Following up with Liz and Dembe's arrest, 'The Director' pits, well, the Director against Red and eventually Ressler, who is as slow on the uptake as usual, but winds up on Team Red once he realizes Christine Lahti's Laurel Hitchin is probably as dirty as Strathairn's Director. With the addition of Edi Gathegi's Mr. Solomon, that's a fairly ominous triumvirate of Cabal employees for Team Red to deal with, what with Cooper, Tom, Mrs. Cooper, and Karakurt also caught up in a family retreat gone completely off the rails. This is one of those welcome episodes of The Blacklist where almost every thread is balanced against the others in as congruent a way as this show can get. The series still has no idea what to do with Liz, but at least it has the bright idea to put her in the Red Box the task force used to hermetically seal Reddington in back before he was basically calling the shots and employing Agent Navabi and Aram to do his bidding. It's kind of a nice throwback to season 1 and it works as the sort of obstacle that would stymie a character like the Director, who for all his connections with the Cabal has proven rather ineffectual as a villain. Strathairn's great as usual, but for a guy involved in the upper echelons of a shadow government, he seems to get tripped up by the most basic of obstacles. Earlier, it was a Power Point presentation and now it's the human equivalent of a DVD kiosk. Case in point, Aram changes the password of the Red Box once Liz is inside, forcing the director to just hang out and occasionally peer inside with a threatening glance, like a lonely bachelor circling the perimeter of an actual Redbox outside a McDonald's on a Friday night. That is until he gets the bright idea to start pumping nitrogen into the giant Tupperware container, suffocating Liz in an effort to force Aram's hand in revealing the password – the simplicity of which should leave the Director's IT department feeling a bit sheepish. To be fair, Aram's stalling is really just the show stalling, so it can spend some time with a determined Red – the best kind of Red there is – as he and Navabi liberate some cocaine from one of his storage lockers to stage a crime scene in order to pull off a heist and make a deal with the Venezuelan government. There are a handful of very Blacklist-y moments in the middle part of the episode, like Red showing off for Navabi, talking about his preference for opiates and hashish over stimulants, and showing her a case of aged beef as though he was actually appreciating the process of curing meat and not making a weird innuendo. Whatever was actually going on in that storage locker, however, becomes trivial in comparison to how events unfold afterwards. In just three hours – more time than is necessary for the Cabal to "[collapse] entire governments," mind you – Red and Navabi raid his storage locker in West Virginia and stage a crime scene. Then, Navabi just hangs out in the woods, waiting for an FBI evidence transport to turn around and come to the location of her faux crime scene – complete with fake donut-munching sheriff's deputies – so she can steal the printing plates for one hundred dollar bills from a vehicle that is left completely unsecured. Then, while the Director and Hitchin are still trying to figure out a way to open the box, Navabi delivers the printing plates to Red, who then has a lengthy conversation with the Venezuelan foreign minister. It's all so gleefully absurd, The Blacklist actually comes out looking better because of it. The show has a tendency to be so oppressively self-serious that its utter disregard for the concept of time and the physical distances between locations feels like a feature rather than a bug. Throw in Ressler basically ignoring the laws of time and space to wage war with the Cabal at the cabin of Mrs. Cooper's former lover, so he can make a grand entrance back a the black site to admonish the Director and Hitchin, and you have one utterly ridiculous but still weirdly satisfying episode. With any luck, the show did some cardio over the holiday break to improve its stamina. The Blacklist has hit the ground running before, only to peter out after about three episodes. Still, you take what you can get, and with Red assembling a team to take down the Cabal, there will likely be enough momentum for the show to maintain this level of productivity for a few more episodes at least.